Have you thanked them for being your customers, have you written to them and offered them something special for being your customer? Did you know that if you do that you could double your cash flow for the month? How would you feel if you got a letter, snail mail letter, that thanked you for being a customer and gave you a special gift; would that make you feel special and would you go back to that business to buy more products or services? I am guessing you probably would and you would build a relationship with the people running the business because they have been generous. So do you think it would be nice for your customers to receive something from you? It doesn’t have to be much, a nice card or a letter with a voucher for something special. 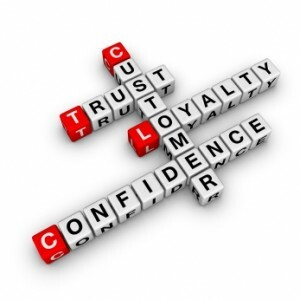 You could offer different types of rewards for customers on various purchase levels. You could offer a voucher to save $x on their next visit or create a partnership agreement with another business that has the same target market and offer the deal to them. But that isn’t where it stops, when you write to them you include a PS at the bottom and a referral voucher, offering them an opportunity to share a voucher for x with a friend. When the friend signs up to your service or buys from you, you then offer your existing customers something special in return. A really effective strategy is to share a portion of the sales from referrals with a local charity that may or may not be related to your business or may connect with your target market. So instead of giving something in return to the referrer, you give to the charity. Like if you have a pool service business, you could donate to help disabled children to receive free swimming lessons or free dolphin swim. Recently I listened to a well known podcast on Marketing conducted by Tim Reid from Small Business Big Marketing. Tim interviewed a business owner from South Australia who uses mainly offline customer referral strategies to gain business and it has been extremely successful, with 90% of their business coming from referrals that is pretty amazing. Have a listen to #149 How To Promote Your Business Offline. AKA old school marketing and see what you can do to gain some more customers. If you need any help you know where to find me.